The movement of our body is handled by bones and joints. The department which deals with all of the movement of the body parts is known as orthopedic department. Some of the other components are tendons, ligaments, skeletons, cartilage etc. The system which handles all of these is known as musculoskeletal system. Along with the movement of the body, this system provides from, stability and support to the body. The parts are interconnected to each other. Bones are connected to each other with each others with connective tissues. They are kept in position with the help of muscles. Cartilage is used in keeping the bones from rubbing against each other. There are different disorders and diseases which can affect the working of our bones. One of the affected body parts is our knee. There are various surgical options for knee but the most effective out of all is arthroscopic knee surgery in India, which is best given to you at IBS Hospitals. 1. Anterior Cruciate Ligament injury is common in people who play basketball, soccer or other sports. Tearing of the ACL occurs in this condition. 2. Fractures can occur in the bones of the knee including the kneecap and it can be broken during vehicular accidents. 3. Tendinitis or knee bursitis can cause knee pain. 4. There are more than 100 types of arthritis known to human beings. Osteoarthritis is the most common one. Some other forms of arthritis are – Rheumatoid arthritis, gout, septic arthritis etc. 5. Being overweight increases stress on the knee joints in doing even basic activities. 1. Swelling and stiffness of the knee. 2. Inability to straighten the knee. 3. Crunching noise during the movement of the knee. 4. Visible redness in the knee. 5. Instability in the knee. 6. Occurrence of weakness limiting the movement. 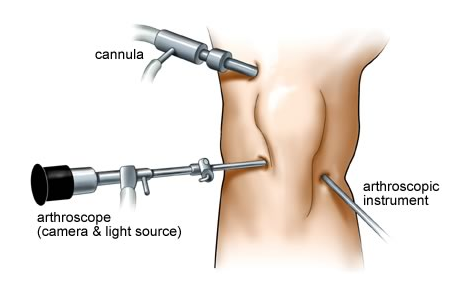 Arthroscopic knee surgery is a surgical technique which is used to treat knee injuries such as torn interior, torn meniscus, patella that is out of position, removal of a baker’s cyst, fractures in knee bones etc. In this surgery, doctor will give anesthesia. In this procedure, small incisions will be made in the knee. Expansion of the knee will be done with the help of sterile or saline salt water. The arthroscope will then enter one of the cuts. An arthroscope is an endoscope that is inserted into the joint. The surgeon will look around with the help of an attached camera. After the surgery, salt water is drained and cuts are closed. IBS is the best hospital for Arthroscopic knee surgery in India.